First let me make clear that Jamie and I have never met, we have corresponded and talked but not in person, and no money has changed hands. I have read, quite literally thousands of books, I am pretty widely read. 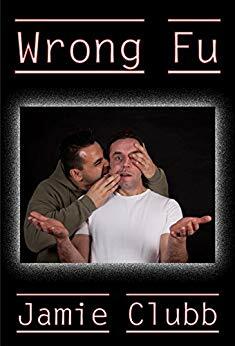 I have reviewed many, many books, most I have enjoyed, some that have been more than that, ‘Wrong Fu is one of the latter’. I edit Conflict Manager Magazine and work closely with a couple of the people mentioned in this book. I teach Ju Jitsu, I have graded to 4th dan and I run the Academy of Self Defence. I know my mMA and my SD are different creatures, there is a little overlap so I just about completely agree with the messages delivered in this book. The amount of research and underpinning knowledge necessary for Jamie to write this is extraordinary. I was once an academic, I was immersed in a world where opinion was fine but needed to be based on evidence. Jamie draws on some fantastic sources and refers to many theoretical models to identify and argue against all the major problems that exist in the MA/SD world. However, it is not a rant. This is an incredibly concise observation of some quite complex issues and fallacies, they need challenging and this book contributes to that process. I loved it. Like any great read I will let this swish around and return to read it again another time. I am looking forward to Enter the Bull, (even though I have trained with Master Ken and did the tiger pose, I use the pic to make my students laugh). Final point, when I took over the teaching of Ju Jitsu nearly 4 years ago the first thing I did was scrap the use of the ‘Sensei’ title, our students call me Garry. Stop the bowing, scraping and kneeling in rank order, we still bow with a nod but stood in a circle and make it clear we did this for fun, we are not warriors, failure is inevitable and should be embraced as much as success. We are growing steadily. The MA/SD world would improve more if people listened to Jamie Clubb.